Will I Feel Nervous On My Test Day? Home Will I Feel Nervous On My Test Day? It is natural to have a little flutter in the tummy. However you will feel okay if you train the Cumbred School of Motoring Way in Wilton, Cork. That is because we aim to get you beyond the threshold of what RSA examiners require. That way, you exceed their expectations and pass the test without hardly worrying at all. If this sounds like an exaggeration we invite you to view our student testimonials. When you consider that 97.4% of our pupils qualified for Irish driving licences counted over the past 5 years you start to realise what we could do for you too. Our pupils tell us that what they appreciate most is the extensive training we apply, the fact we introduce them to the official testing routes, and the highly realistic pre-testing situations we put them through. The enduring Cumbred difference is that we leave nothing to chance. After all, it is your money and you deserve the very best in return. Will My Nerves Take It? We won’t pretend a driving examination is a walk in the park. It is never nice having someone watch you closely, and this is the first time you will be driving with a perfect stranger who only half expects you to pass. The important things are to keep your cool and concentrate on what you are doing. If you are a Cumbred School of Motoring student, you should sense the examiner lightening up as you pile on success after success. What Happens at Doughcloyne or Ballincollig? You report in at the time you booked (best to be ten minutes early ‘just in case’) and are directed to a room when your examiner greets you from across a table. Remember to be polite but never to engage personally. Examiners must be objective and they resent it if you try to get too close. However you MUST ask questions if you are unsure about anyhting. Road Safety Theory First – The RSA driver testing officer asks you twelve to eighteen questions about the meaning of road signs, followed by a similar number regarding the rules of the road. 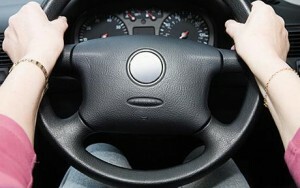 Knowledge of Car Controls – You get into the car together. Your tester asks you to point out the driving controls and explain how to use them in practice. For example, what you would do if you suddenly enter fog and the windscreen mists up? Finally, Your Practical Driving Test – This is what your twelve weeks of training spread over six months were all about. This is your chance to prove you know your car controls, road signs, rules of the road and how to drive safely too. The Cumbred School of Motoring in Wilton, Cork is conveniently close to Doughcloyne Industrial Estate and not far from Ballincollig to the west on the ring road. We encourage you to visit your training centre in advance of your test day, in order to know how much time to allow for getting there, and what time to leave home.